Coursera has announced it has raised $103 million in Series E funding led by education focused company Seek Group, with participation from existing investors NEA and Future Fund. A TechCrunch article says the company is now valued at 'well over' $1 billion, citing a source close to Coursera. Coursera says its user base has grown from 26 million to 40 million since it last raised funding in 2017. It now has 3,200 courses and 310 specializations available on its platform. Coursera has partnered with top learning institutions like the University of Michigan, Johns Hopkins, and Columbia University to offer courses to its users. The company not only meets individual needs but also has an enterprise solution users by more than 1,800 companies to educate their employees. Coursera is backed by other notable VCs like GSV Capital, Learn Capital, New Enterprise Associates, and Kleiner Perkins. File storage and collaboration software company Dropbox has just outed its second quarter results with revenues up 27% year-on-year to $339.2 million beating Wall Street analysts estimates while also adding 2 million users from last year as the company's COO Dennis Woodside is also announced to be departing the company after a 4 year stay at the company. Although a successor to Woodside's position has not been named, The SF headquartered company has added 2 new key roles in its ranks with Vice Presidents Yamini Rangan and Lin-Hua Wu taking on new positions in the company reporting to CEO Drew Houston as they become responsible for customer-focused business functions and oversee external and internal communications and analyst relations for the $13 Billion (as of current trading) 11 year old company. Before heading to Dropbox, Yangan previously held positions at Workday, Appirio and SAP bringing 20 years of experience across sales, marketing, and operations to Dropbox while Lin whose new role would ensure the company gains the right market ambience informing its decisions notably previously led Corporate Communications at Square before heading to the company. "Dennis has had an enormous impact on both our business and our culture. He’s helped transform a scrappy startup into a global business and publicly traded company with over $1 billion in revenue and more than 1,800 employees in 12 global offices." Houston stated making note of the former Google executive who is the company's third highest paid executive now leaving after helping "transform a scrappy startup into a global business and publicly traded company with over $1 billion in revenue and more than 1,800 employees in 12 global offices" as stated by the Dropbox CEO. 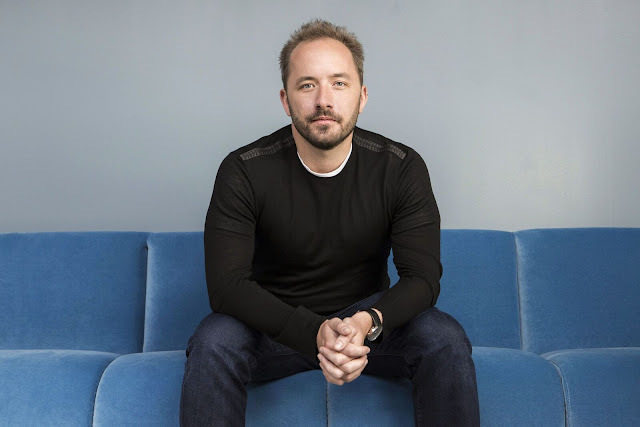 Dropbox currently trades at about $34 a share (as of writing) valuing the company which debuted on the public market with an $8.2 Billion at around $13.2 Billion. Just after AT&T sold back its 9.5% stake in Hulu to the company for $1.43 billion, Comcast is reportedly in talks to sell its 30% stake in the video streaming service to Disney (a majority shareholder in Hulu). The report comes from CNBC which says Comcast is now weighing the pros and cons of selling its stake now rather than later. The 9.5% stake sold back to Hulu recently at a $15 billion valuation is set to be split between Disney and Comcast, unless Disney gets hold of the entire company. After Comcast agreed to acquire NBCUniversal in 2011, the company was barred from having influence in Hulu's strategy. This went on till 2018 when the decree phased out. But just as Comcast was due to have a say, Disney acquired 21st Century Fox and got its 30% stake in Hulu in addition to its previous 30% stake, making it a majority shareholder in Hulu. This may have led to lesser power by Comcast over Hulu's strategy. Nissan has unveiled a new electric vehicle, an addition to its Leaf lineup dubbed the Leaf Plus (or e+) which will become available for purchase at dealerships late this month. The Leaf Plus comes with improved range by 40% than its predecessor and is equipped with technologies including Nissan's ProPilot semi-autonomous driving system and e-Pedal mode for one-pedal driving. Door-to-Door Navigation (syncs the vehicle's navigation system with a compatible smartphone for walking and driving directions).A larger full-color 8-inch display.A reprogrammed the e-Pedal software.458 km driving range.70 kW (100 kW peak) Quick Charging system.High-capacity battery (160 kilowatts of power and 340 Nm of torque) (288 cells).25% increase in energy density than that of predecessor (Nissan Leaf).16-inch wheels andBattery limited warranty of 8 years/160,000 km. Self-driving startup Aurora, led by three notable names in the self driving industry, former Alphabet CTO for self-driving cars Chris Urmson, ex Tesla Autopilot leader Sterling Anderson and Uber Advanced Technologies founding member Drew Bagnell, is reportedly raising funding of at least $500 million led by Sequoia Capital at a $2 billion valuation. This report comes from Recode, noting VCs are betting on its three highly credentialed founders who have brought more appeal to the still young company which launched out of stealth in 2017. 200 employee strong Aurora works on self-driving software which other carmakers can develop and build on, not involved in building these cars or its sensors themselves. The company has raised $96 million till date from only two investors, Greylock and Index Ventures whose partners Reid Hoffman and Mike Volpi sit on its board. It was valued at a reported $500 million from a last year $90 million round.